ItemI-04856 - Temple Emmanu-El, the first synagogue in Western Canada, at the southeast corner of Pandora and Blanshard Streets. ItemI-04857 - Temple Emmanu-El, the first synagogue in Western Canada, at the southeast corner of Pandora and Blanshard Streets. 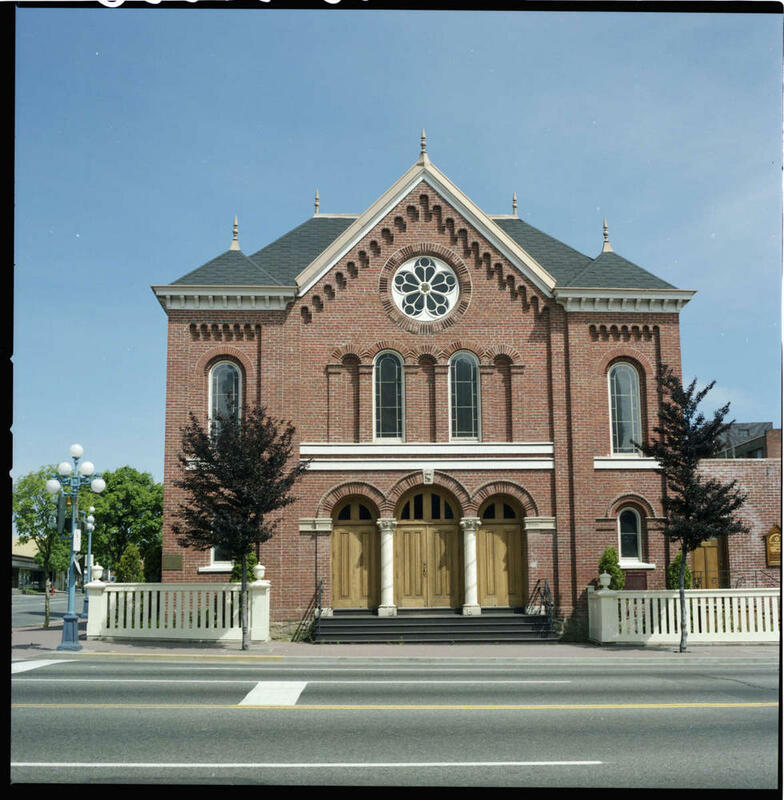 Item I-04856 - Temple Emmanu-El, the first synagogue in Western Canada, at the southeast corner of Pandora and Blanshard Streets. Temple Emmanu-El, the first synagogue in Western Canada, at the southeast corner of Pandora and Blanshard Streets.